Clear your calendar – It’s going down! BYOD (Bring Your Own Dog) is hosting the BIGGEST (and spookiest) Howl-o-ween pawty in Austin, Texas on October 20th! BYOD connects dog-lovers to their city’s best dog-friendly deals, events, and recreational activities – and you’re invited to take part in our grand bark into Austin! Together, our pack and Lustre Pearl East are inviting mummies, zombies, and four-legged furiends for a wicked Howl-o-ween pawty. 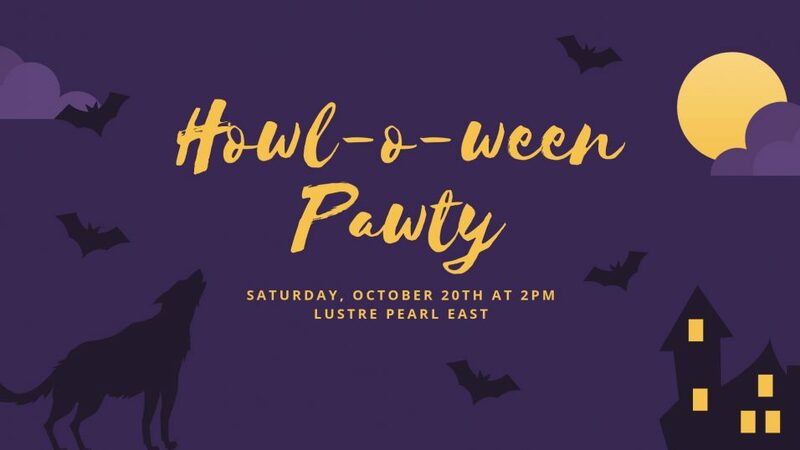 Canine and human guests are encouraged to enjoy witch’s booze and ghoulicious treats while enjoying Lustre Pearl’s dreadfully fun atmosphere, while dancing the afternoon away to our favorite tunes. Between the mouth-watering pupkin treats, delectable ear candy (music hits), costume contest, and raffle prizes, this pawty is going to be a doggone good time! *BYOD Members always enjoy 10% off food and drinks at Lustre Pearl East. BYOD Member drink deals and perks do not apply to Non-BYOD Members. ** If you bring a dog this this pawty, you agree that your dog is social, well behaved, and up-to-date on all vaccinations. BYOD & Balls Out Burger is not responsible for incidents that would arise. Photography will be present and doggy bags will be distributed to all RSVPs. BYOD’s vision is two-fold. BYOD is a membership community that connects dog lovers to their city’s best dog-friendly deals, events, and recreational activities. In addition, BYOD is also a 501(c)(3) organization whose mission is to provide educational learning opportunities on responsible dog ownership to the general public.